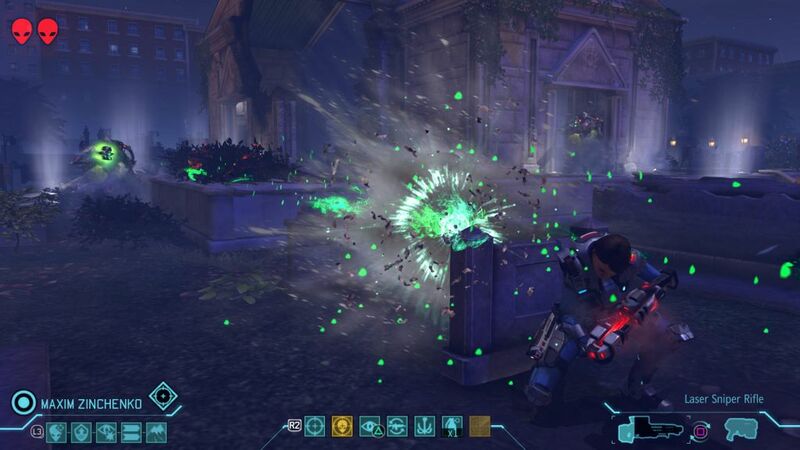 The Good: Sid Meier does XCOM?!? Sign me up! The Bad: Special missions rely on cheap scripted events. Occasionally unforgiving difficulty. This is one of those game reviews where I get to brag about how old I am. Whereas most game reviewers are somewhere in their twenties or maybe thirties, I’m fully closing in on 50. I’ve got fillings in my teeth with more video gaming experience than they have in their whole bodies. 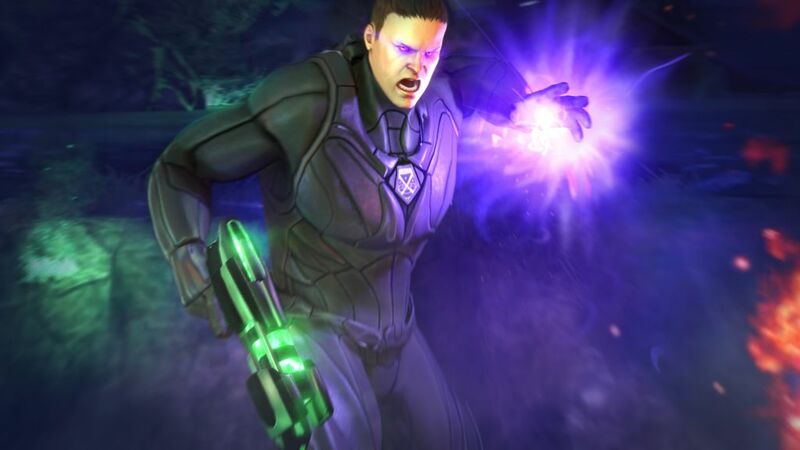 In 1994 when the first XCOM came out, and they were busily learning stuff like walking and potty training, I was playing it, gnashing my teeth when a veteran unit died, cursing out my computer when a soldier succumbed to a psionic attack and went on a berserk shooting spree. In conclusion, kids, get the hell off my lawn, and leave this one to the game reviewing pros. So, XCOM. What do you get when the father of turn-based world building sets his sights on the mother of all turn-based squad games? You get one hell of a well thought out squad-based experience. You get heart palpitations as you methodically advance your team of marines, checking lines of fire, assaying possible enemy positions, monitoring remaining action bars, all too aware that losing another veteran, even if only to a hospital bed for a few weeks, will leave your team decimated. You get a global population on the verge of panic as alien abductions and UFO sighting multiply. You get a multi-dimensional puzzle of deciding between improving your base of operations, researching new technologies, building some new toy for your soldiers, or hiring more bodies. Which will give you the edge to succeed, and which will spell disaster? OK, let me back up a bit. 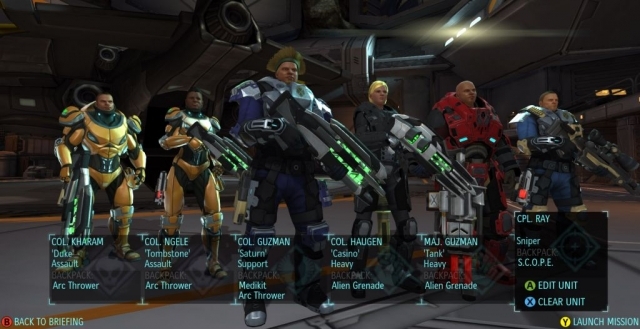 For those of you who never played the original XCOM, which I’m going to assume is 90% of you, pull a chair up to the fire and let Uncle Philip tell you a story (For the other 10%, I’ll simply say that cosmetically the new XCOM is, of course, light years beyond the old, and the interface has been vastly streamlined, but otherwise I am kind of hard pressed to come up with an enormous change the new game has wrought. There, review over, go take your Metamucil). Alien sightings and abductions are on the rise. The governments of the world agree to form a special military unit to deal with the alien threat, and you’re the guy tasked with running it – all of it. Given a budget and pretty much a free reign, you build a base, staff it, and determine what it will contain. You hire soldiers, train them, equip them, deploy them, and control their movements step by step in the battlefield. 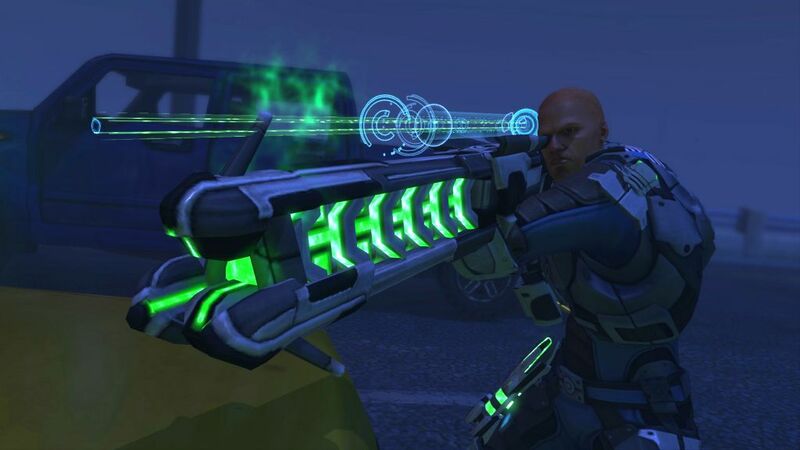 Such was the original XCOM, and such is its remake today. 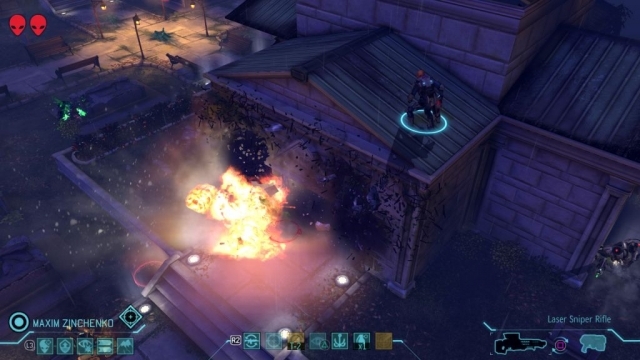 XCOM is split into two separate components. 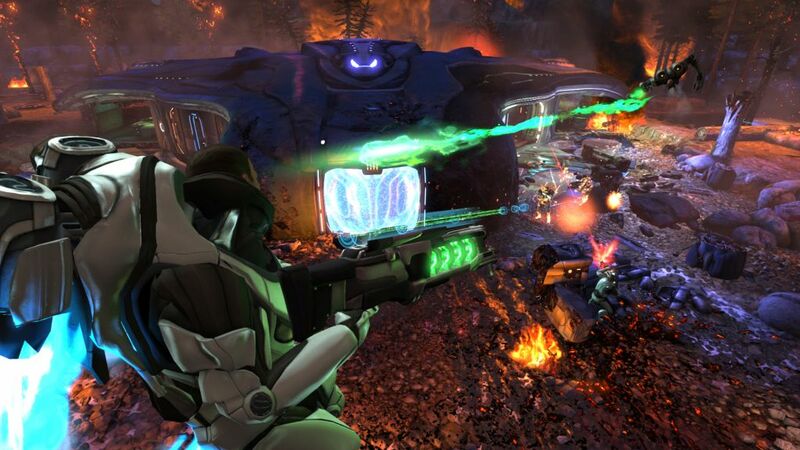 There is the base management side, and the combat management side, and success at XCOM is going to require to you to be pretty good at both. The base side management takes place in a screen view that people on the web have taken to calling the Ant Hill. It’s a great image, because your base is a bunch of rooms hollowed out underground that you see from a side view, much like any ant farm you may have owned, if your generation even owns ant farms, or if they instead spend all their time pondering the deeper philosophical meaning of Jersey Shore. The Ant Hill consists of engineering space, lab space, a barracks, store rooms, alien containment facilities, and a room where you can look at a world map called the Geosphere. 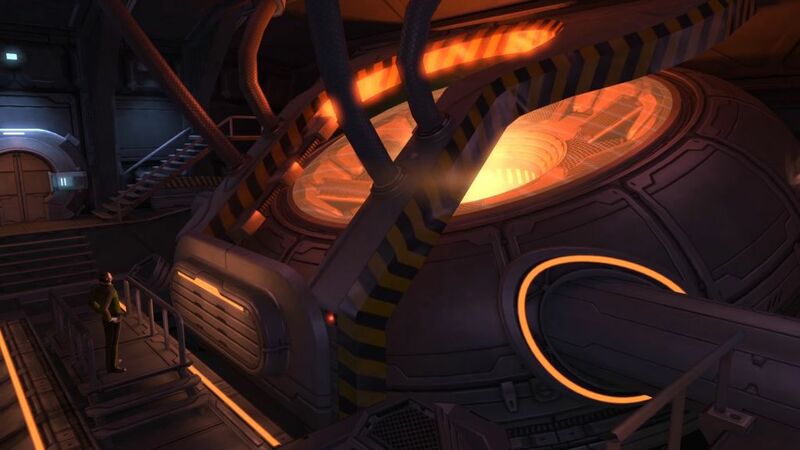 When you click on a room, you zoom in and can instruct your scientists on what to investigate next, or what you want your engineers to build, or you can spend experience points for your veteran soldiers to learn new skills. All of this stuff takes money – to build, to maintain – and your budget is not infinite. Sure, the fate of the world hangs in the balance, but the world leaders are stingy (the US Congress, for one, is unwilling to cut into their hookers and blow recreation fund). You also have to consider what team you want to send out into combat, because soldiers only earn experience in combat. If you keep bringing the same pack of soldiers to the dance, sure, they get to be great, but then if one of them is injured, or his noodliness forbid dies, you’re left with a green-as-new-wood sniper or heavy missing that critical shot and getting some other member of your team killed. That’s what we call a downward spiral. Amidst all of this management you get a warning on the Geosphere of some alien activity. Actually, typically you get warnings of several activities in far-flung geographic places, and you can only respond to one of them. The place you respond to, if you are successful, heaps praise and money on you. The place you ignore get a little less confident in you and a little more panicky about the whole alien situation, and cuts your funding. You have to keep a handle on that as well. All of this management leads up to the other half of the game – squad combat. Your chosen team (up to six units) is transported to its destination, which spans something like a few city blocks or a few acres of forest or rural land. Each member of your team is given two action bars, which can be used to perform two separate actions. They can move some distance, and shoot something. They can heal a fellow soldier, and move. They can move twice and cover more ground. 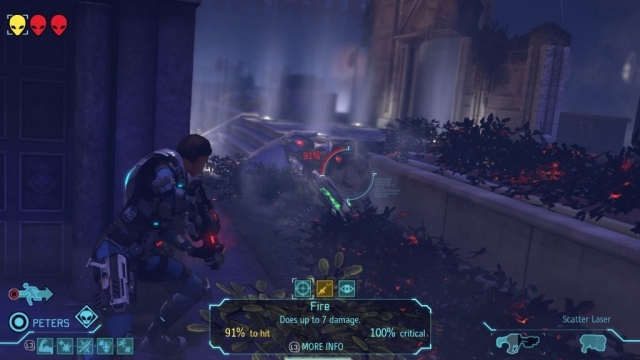 Or they can choose to bank unused actions and go into what is called “Oversight” mode where they will shoot at any enemy they see during the enemy turn. You decide everything – where they move to, what they shoot at, what weapon they shoot with, if they’re standing up or ducking down. You can move one soldier a little bit, and then as the fog of war is revealed by the motion hold that soldier’s remaining action and move a different soldier, then come back to the first one if you like. Then when everyone is where you want them and has done what you want them to do, or all your soldiers are out of actions, your turn ends and the aliens move. Wash, rinse, repeat. All of this is accomplished through a very versatile and useful GUI. There is a ton of strategy here, even more so as the game goes on and individual units, highly trained, become more valuable, and aliens become more numerous and tougher. Rushing it will get your units killed. To give you an idea of the scope of this activity, it was not uncommon for a single mission to take me about an hour. This is not an easy game. Let me repeat that: this is not an easy game. 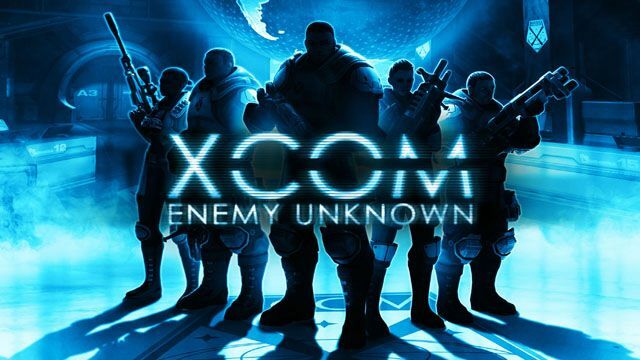 The first dozen or so missions serve as a tutorial, and do a solid job of integrating you into the flow of gameplay, giving you the whole picture in somewhat bite-size-ish pieces, but if you’re looking for a casual get in, shoot a few aliens, and get out again, this is not the game for you. Even if you are used to the somewhat plodding (a word I do not use in a bad way) activity of city management of, say, Civilization V, the pace of this game is even slower. 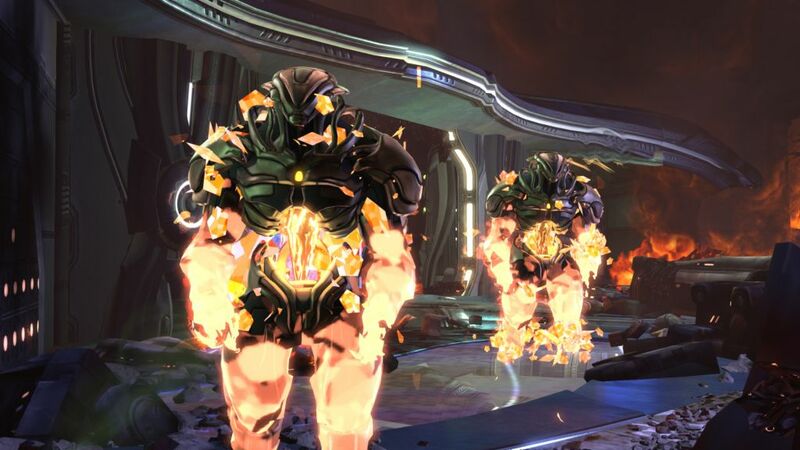 And though I haven’t actually proven it to myself, I strongly suspect there are choices you can make early in the game about what alien catastrophes to respond to and what training to give your soldiers that will result in you eventually hitting a wall, having insufficiently beefy soldiers or poor base configuration or not enough budget or whatever, and you’ll be forced to give up some hours of play and go back to an old save or just restart the game from scratch. Do I have some complaints? Of course I do, and they primarily deal with special missions. Every so often you are given the option of undertaking a special mission. The only thing that I can see that makes them special is that they’re highly scripted, and the exact moment you accomplish part of your goal aliens literally drop from the sky with guns blazing. In a game with the difficulty screwed up to 11 already, I’m not even sure why these are here, unless it is only to humble a player who thinks they have a handle on everything, and wouldn’t it be just peachy if half the team got killed. My other major complaint is that this game is major league hard, and hard in a kind of random way. 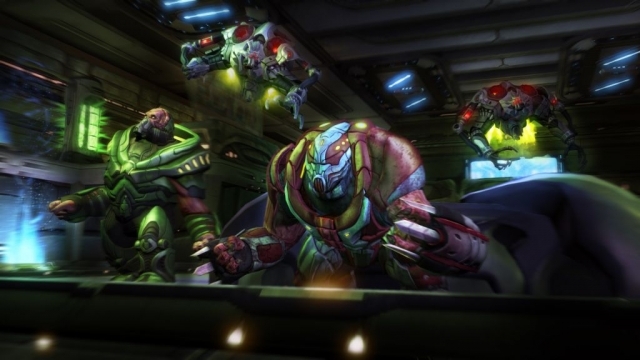 Some missions everything seems to fall your way – your soldiers make a few low probability shots, the guy you left on oversight kills the rampaging alien at the exact moment he needed to – that kind of thing. And sometimes it all seems to go wrong, with three soldiers in a row missing a 90+% shot and paying the ultimate price for it, and I can swear I hear my computer laughing at me. A little more random consistency would have been nice. 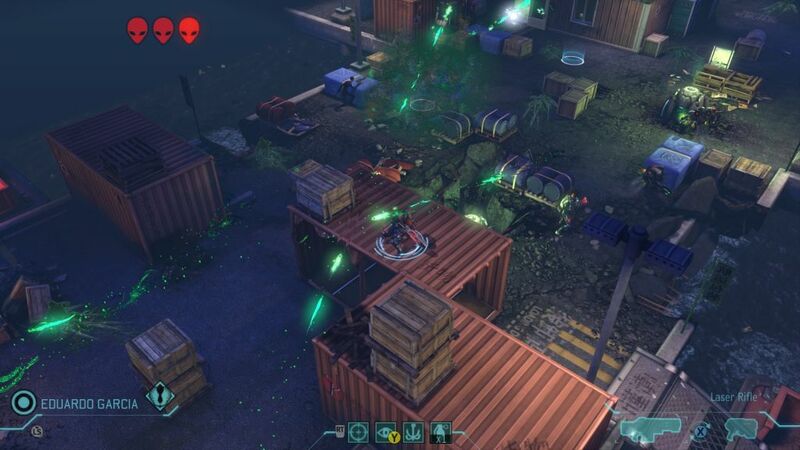 I probably should mention that there is a multiplayer component in which the two players set up different sides consisting of either alien or human units (or a mix) and go through a turn-based squad skirmish. To be perfectly honest, I didn’t try it, but its there if that’s what you’re looking for. 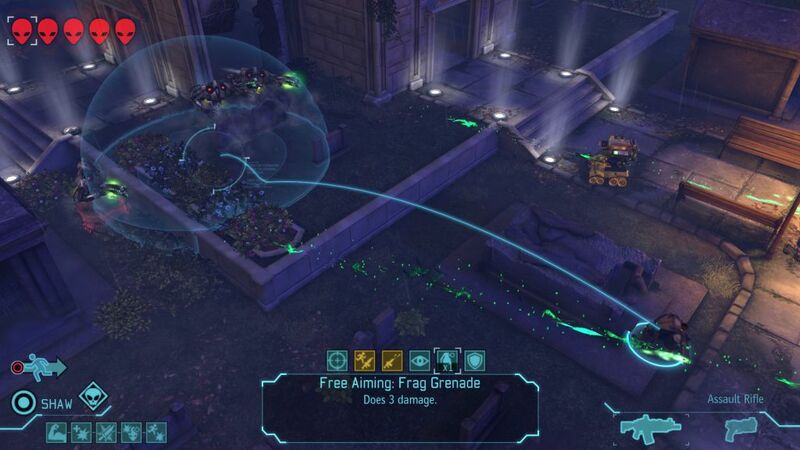 Overall, I’ve got to say that once again Firaxis has proven itself to be a house of very smart game developers. They’ve grabbed a great franchise that has lay dormant a very long time, and done an excellent job modernizing it while staying true to the original vision. Whether or not modern audiences flock to a game of this kind of difficulty level of course remains to be seen. 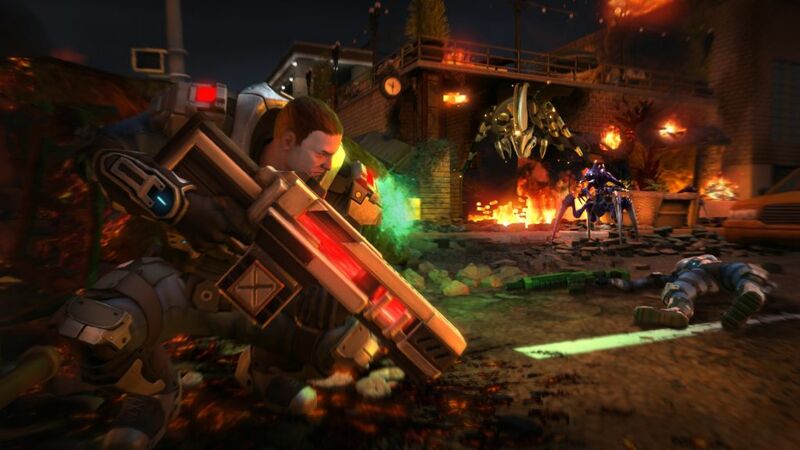 This review is based on the PC version of XCOM: Enemy Unknown provided by 2K Games.